Dr. Ashley Wagner is excited to become a part of Boyle Eye Associates. Dr. Wagner earned her Bachelor of Science degree in Biology from Misericordia University an received her Doctor of Optometry degree from the Pennsylvania College of Optometry at Salus University in Elkins Park, PA. She graduated with Clinical Honors in both Primary Care and Low Vision. While in school, Dr. Wagner completed clinical externships at Biernacki Eye Associates in Wilkes-Barre, Northeastern Eye Institute in Scranton, the Wilkes-Barre VA Hospital, and Feinbloom Center for Low Vision at The Eye Institute at Salus University. Dr. Wagner is a member of the American Optometric Association, Pennsylvania Optometric Association, and the Northeastern Pennsylvania Optomeric Association. 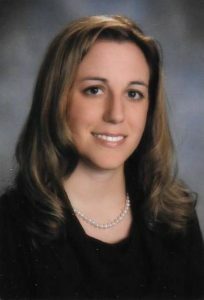 She was recently awarded the Young Optometrist of Year for the Northeastern Pennsylvania Optometric Society, which she is also the Vice President of Education. She is also an active member of the Rotary Club of Dallas where she is secretary. Dr. Wagner is a resident of the Back Mountain with her husband Dr. Joseph Wagner and their two kittens Izzy and Nala. She and her husband are Wilkes-Barre/Scranton Penguins enthusiasts and avid travelers, having spent their honeymoon in Iceland.